> Never had a single child or female child only twin boys! Driving me mad! Me too! I have been having this same problem! I'm going to start adopting and/or moving out one of the twins as soon as it's born. 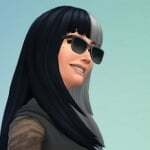 Thought it was just me having problems, also the Sims that are already in the game like the Goth family do not look pregnant at all until the 3rd trimester which is odd as the Sims I create do. > I posted a thread about this issue a couple weeks ago. 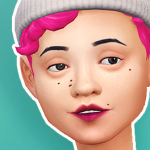 If I want a single baby, I just have my sims adopt. I have only had one single birth (a baby boy) since the December 16th patch. Please EA fix this twin overpopulation in your next patch. I don't care how long it takes, I don't want a game full of bugs, and neither does anyone else. The twin bug is the most annoying bug. For me, they weren't even that rare before the bug. "For me, they weren't even that rare before the bug." Same. And now they're constant and insistent. Nothing to be celebrated. If you don't mind mods, there is a new fix for that! Check out Mod the Sims. I thought I would provide the link since you're a new member and can't post links yet. Another possible fix for people who don't want mods! I've done this twice now. While in labor get ONE bassinet ready. I'm not sure about having multiple bassinets around but having one for me has INSURED ONE BABY. Don't go to the hospital as they tend to give you bassinets for all babies and if you wait too long the same thing will happen. Bassinets will just appear. but if you buy or have a previous bassinet (I saved the two from each generation) just place it in the house and click on your expecting mother sim and choose "Have Baby" and she will have one baby for the ONE bassinet! tell me if this works for anyone else! I've tried buying one bassinet when my female sim was pregnant. She did a home birth. She still got twins. The other bassinet was given to her. Didn't work for me lol. I had my first set of twins and couldn't find the second one, then found it in another bedroom not having noticed it had two bassinets in that house, all the others only have one. I also got the game on Christmas and it was after the patch came out. I'm also having the twin problem when I first played this game which was a month ago my sim had twin boys then they had a single child which was a girl and then 4th time around twins this time a boy and girl but I notice that in my game I only get twins when I'm playing them but when you get other sims your not playing pregnant they only end up with 1 child. So this is nothing to do with multiple bassinets? I only got the game in the end of year sale (refused to pay full price but caved in on the sale!). 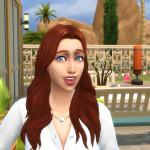 My first household and I wanted to take it all nice and slow and really see all the family and work interactions as the family grew but I got triplets with just one "try for a baby attempt" no fertility help, so it's been full on. Breast feeding them all when mum didn't have maternity leave was impossible. I really do believe this is an accidental bug caused by the latest patch...I am a little surprised this one hasn't been resolved yet though. Yup, it's a bug. I'm having the same issue. So until EA posts a patch, my sims will stop having babies. There's always adoption if you only want one child! > So this is nothing to do with multiple bassinets? Not 100% sure what you mean by this but when I knew my Sim was expecting I made a nursery with just one bassinet in it and then when she had the triplets two more bassinets just spawned randomly around the house with the new babies in them. So When you had your twins the other bassinet probably spawned in the same way. Hope that answers your question. No, it has nothing to do with the bassinets. I wish it was that easy a fix! I have the same problem. I always have twins and then I have triplets. I WANT IT TO STOP!!!! Ahhh, yes that does answer that question. I didn't remember there being two bassinets in that household. my sims keep having twins all the time,in one family i had twin boys then when they were teens i had twins again but they were GIRLS. and other times i have a streak of all boys or a streak of all girls? how do i fix this? and is anyone else having this problem? whenever i had woohoo during pregnancy i'd ALWAYS have twin girls! (I tested it 6 times and had the same reasults!) I considered it my own little cheat! but my computer died and is not yet fixed so im not sure it still works with new update. 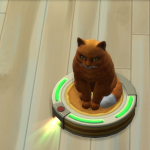 If it still works try not having woohoo during pregnancy. Hope this helps! I can't seem to get twins in my active household, but my sim's children keep having twins/triplets. Eldest daughter has two sets of twins and a single birth, eldest son had two sets of twins, younger son had triplets then twins. So annoying, I just want multiples! Me too, I only ever get Twin BOYS! I am still having this bug even after GTW, there are two mods out there that can help with this. Only install one of them. The first resets the chance to have twins etc back to the base chance 89/10/1 (single/twins/triplets), she has also made a 75/20/5, 70/20/10, and a few other flavors. Choose the one that suits you. The second allows you to choose haw many children you want, so choose if you want to always have singles, twins, or triplets, and install that mod.